Canal Boatyard offers state of the art facilities in Seattle’s historic marine district along the Ballard ship canal to recreational boaters and commercial fishermen. We have consistently been awarded with top honors for customer service and satisfaction from local and regional boating associations. Our commitment to customer experience and satisfaction is equaled only by our dedication to maintaining an environmentally friendly facility to protect our waterways. 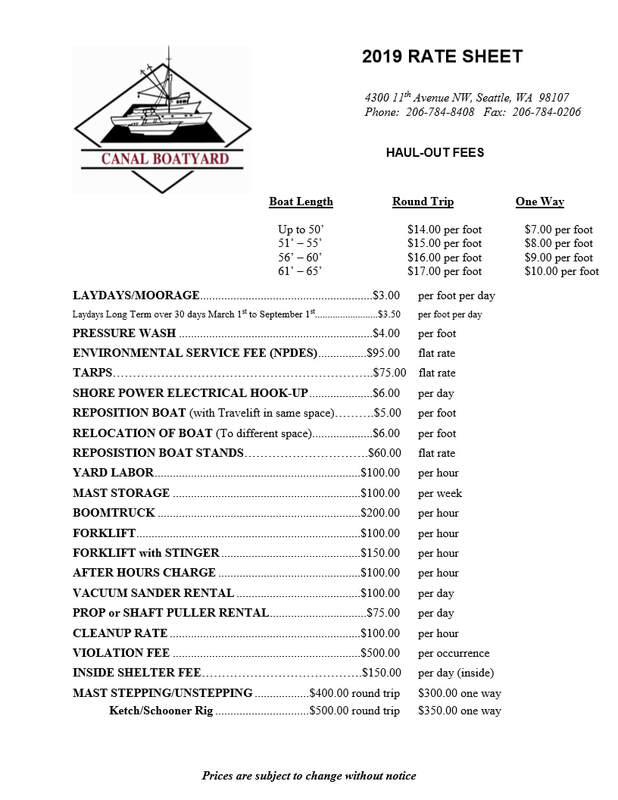 Our yard caters to do-it-yourself boaters of all shapes and sizes, with customers encouraged to work on their own boat repairs, or contract directly with best-in-class contractors for repairs. With over 50 years of experience operating the region’s most customer-friendly facility, we have deep ties to all of the marine related contractors in our area, and have established excellent working relationships with each, and can help direct our customers to the contractor best suited to their needs.